During the weekend, multitalented singer Namewee has finally announced the winners of his Merdeka-themed video singing competition. 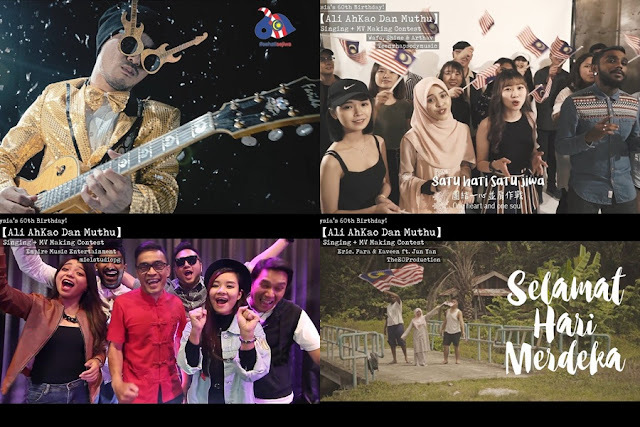 Last month, when Namewee released his new patriotic song “Ali Ah Kao dan Muthu”, it has gotten tons of positive reactions from fans. Thus, the 34-year-old singer decided to use this opportunity to hold a competition in conjunction with the coming Malaysian Independence Day. The competition is a cover-singing and music video contest for “Ali AhKao dan Muthu”, and the winners will receive cash prizes totalling RM20,000. The winners were announced yesterday, 27 August 2017 on Namewee’s Facebook.